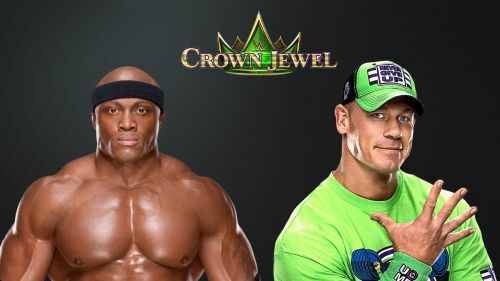 John Cena has officially been pulled from the WWE World Cup taking place this Friday at the Crown Jewel pay-per-view. The 16-time world champion will have his spot filled by Raw superstar Bobby Lashley. Cena was the first superstar announced to compete in the WWE World Cup tournament to determine the "Best in The World." The other participants in the tournament include Seth Rollins, Dolph Ziggler, The Miz, Rey Mysterio, Jeff Hardy, Kurt Angle and Randy Orton. The company confirmed Cena's absence from the show after rumors emerged that he was refusing to return to Saudi Arabia for Crown Jewel following the death of U.S. citizen and Washington Post journalist, Jamal Khashoggi. The kingdom of Saudi Arabia has been at the center of controversy following Khashoggi's death and reports of their continued mistreatment of women despite the regime's "progressive vision." The journalist was killed at the Saudi Arabia consulate in Turkey and was confirmed by the Saudi government as a "fistfight" gone bad weeks after he went missing. U.S public officials have questioned the country's relationship with Saudi Arabia and lead some to believe that America should cut ties with their government. WWE came under fire a few weeks ago for their business relationship with Saudi Arabia which will have them performing shows in the region on a 10-year multi-million dollar deal. Following the death of Khashoggi, WWE stated that they were "monitoring the situation," but put out an update saying they would fulfill their contractual obligations and host Crown Jewel in Saudi Arabia. Daniel Bryan was also rumored to refuse to perform at Crown Jewel, but the company has not confirmed the news. Bryan is scheduled to face AJ Styles for the WWE Championship, but the match could be changed this week on SmackDown Live.